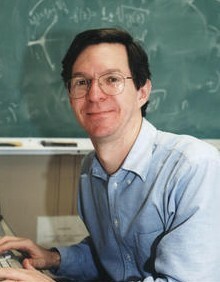 Alan Sokal - A physicist who, in 1996, successfully published his infamous paper: Transgressing the Boundaries: Toward a Transformative Hermeneutics of Quantum Gravity in a peer reviewed journal. It was flattering to the editors' "ideological preconceptions"
This is sometimes referred to as the Sokal Hoax or the Sokal Affair. Specific instances of these (and there are many) are referred to as Sokalisms. Persuasive arts types who have chosen to make their living promoting themselves as experts in various science and technology fields will often use the term Sokalist as a derogatory term, to refer to people who would dare to speak of Sokal's experiment as a consideration. Academic Grievance Studies and the Corruption of Scholarship.